Madison Area Business Consultants, Inc. is a professional association of independent business consultants located in and around Madison, Wisconsin. Our members specialize in providing an objective point of view to help you and your organization spot and analyze problems you might not be able to see or recognize. We can help you reduce inefficiencies, pinpoint solutions, increase revenue, improve overall performance, and facilitate the change necessary to achieve your goals. Our consultants serve the diverse needs of local, regional, and national clients. Founded in 1987, the association provides to members opportunities for education, networking, and collaboration to aid in providing high-quality consulting services to clients. MABC meets the second Thursday of every month from 8:30 AM – 10:00 AM. Our meeting date or place sometimes changes due to room scheduling conflicts. Please check Events to confirm time and place. Networking: Members and guests mingle to meet, build relationships, and share experiences. Introductions: Guests introduce themselves, providing a 30-second overview of their area of specialty and services. Member Spotlight: A member volunteers to share with the group a 10-minute summary of his/her background, services provided, and types of clients served. Spotlights help members get to know one another, and they are especially helpful to new members, guests considering entering the consulting field, and consultants considering joining the organization. Program: Programs by members and occasional guest speakers focus on helping members improve their consulting practice. 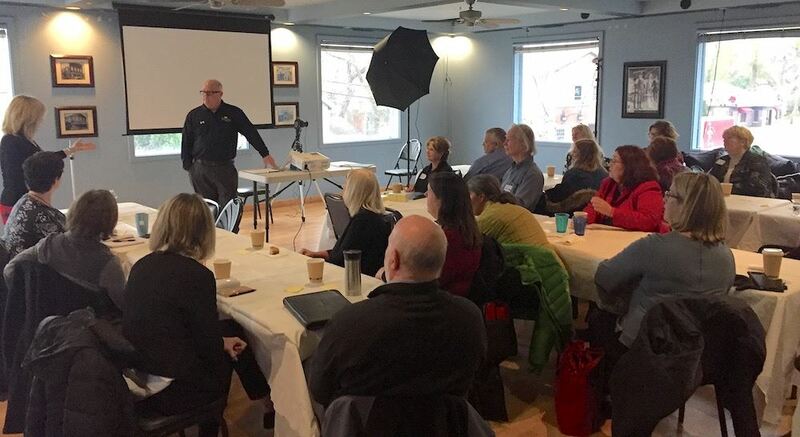 Topics have included digital marketing, social media, proposals and pricing, accounting, successfully meeting and exceeding client expectations — and more! Group involvement through panels and member interaction enriches consultants, regardless of their field of specialty. Membership is open to independent business consultants in the greater Madison area. Dues are $60 a year per person, plus a one-time $60 fee to support the MABC website, where all members have a profile page to market themselves and the services they offer. Questions about MABC can be directed to info@MadisonConsultants.com.